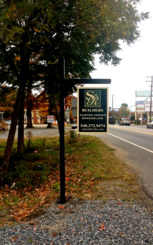 Stop by our office located at 10416 Laurel Ridge Way Fredericksburg, VA 22408. We offer a variety of house plans that our clients can choose from or you can come in and design your own! Our model home is currently showcased in Laurel Ridge subdivision located in Spotsylvania County, off of Mine Rd. In addition to our own lots, we are just as happy to build on a client's land or work from your own house plans. At S&R Builders, we believe that our clients should be involved in every step of the process of building their dream home, from initial design to the final walk through. For this reason, our clients are in control of their home selections. With guidance our clients make the decisions on all exterior and interior selections from brick or stone, siding color and roofing to cabinets, countertops, appliances, flooring and lighting, just to name a few! S&R Builders offers an in-office selection center, but will gladly accompany a client to our vendor showrooms for those who like to choose from a wider variety of options. We understand that the selection process can be full of difficult decisions and therefore we allow plenty of time for the client to feel confident in their final choices. As a small, family owned company, we are very hands on. We strive to maintain personal relationships with all of our clients. Our loyalty to our subcontractors, many of which we used since our inception, allows us to stay consistent in the quality of our work. Owner, Robert Sealy can be found on the job sites every day, ensuring the process is running smoothly and to your specifications. 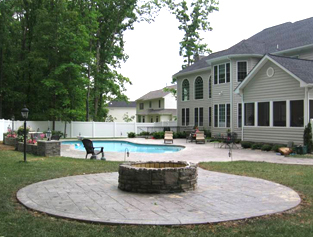 For more information about building your own Custom Home in Northern VA, call us today and ask for Bobby!